The 6.5x9, perfect bound, 200-page, full-color 1 & 2 Corinthians: The Body of Christ study book offers 42 days (6 weeks) of Scripture readings. 1 and 2 Timothy and Titus are Paul’s final letters. He writes to his young protégés—Timothy and Titus—with the maturity and resolve of a man knowing his end is near. 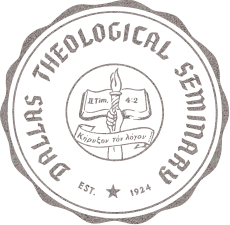 These letters are given to guide young pastors and their congregations on a journey that is faithful and true to the heritage of the gospel of Christ. Join us in this 3-week plan as we read these final instructions Paul gave his spiritual sons, rich with relationships formed over years of ministry and filled with passion for preserving right doctrine. 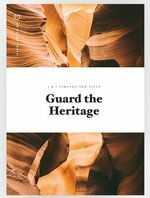 The 6.5x9, perfect bound, 88-page, full-color 1&2 Timothy and Titus: Guard the Heritage study book offers 21 days (3 weeks) of Scripture readings. 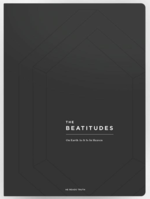 The Acts of the Apostles reading plan is a journey through all 28 chapters of the book of Acts, with supplemental Scripture passages to help you grasp meaning and biblical context along the way. In this 6-week study, we’ll read through the entire book of Acts and discover God’s big plan for His church. A 6"x 8.5" perfect bound 256 page book with complete scripture readings for each day. 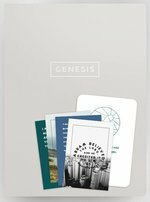 The Genesis Legacy Book is designed to be used as a study companion to the daily written responses found exclusively on the He Reads Truth site, app, or via email subscription, but it can also be used as a stand-alone resource to guide you through an independent reading of Genesis. 5 questions to trigger deeper interaction with Truth + space for personal reflection and notes. Written in beautiful prose, the book of Hebrews explores the majesty and supremacy of Jesus over all things. It reaches back into Israel’s rich history of redemption and looks forward to the glorious hope that belongs to those who are in Christ. This epistle was written to a persecuted people to remind them, and us, that our faith is anchored in antiquity, rooted in Christ, and secured for all eternity. Join us in this four-week reading plan of the book of Hebrews. 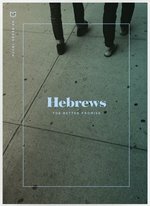 The 6.5x9, perfect bound, 120-page, full-color Hebrews: The Better Promise legacy book offers 28 days (4 weeks) of Scripture readings. 6x8.5, perfect bound, 128 page book. Includes 21 days (3 weeks) of Scripture readings. The 6.5x8, spiral bound 72-page, full-color James study book offers 14 days (2 weeks) of Scripture readings. The 6.5"x8.5", perfect bound, 176-page Legacy Book offers 28 days (4 weeks) of Scripture readings. 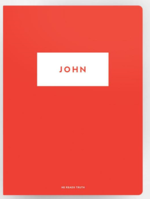 Joshua is a book that swings from battles, spies, and miraculous river crossings, to the meticulous account of the division of land and the boundaries established for each tribe. 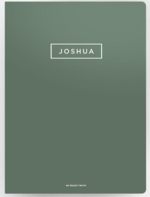 But when viewed as a whole, the arc of the book tells the beautiful and long-awaited story of God’s people taking possession of the land the Lord swore to Abraham 450 years earlier.This 6x8.5, perfect bound, 152 page Joshua Legacy Book offers 21 days (3 weeks) of Scripture readings. The book of Judges illustrates the fundamental problem of the human heart: when God’s people forget Him, we turn away to worship other gods. In this four-week study of Judges, we will read the downward spiral of Israel as they struggle to embrace their true identity as God’s chosen people. Join us as we read this Old Testament book that vividly portrays the tragedy of sin, revealing our need for salvation that comes only through Jesus Christ. 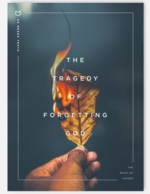 The 6.5x9, spiral bound, 120-page, full-color Judges: The Tragedy of Forgetting God study book offers 28 days (4 weeks) of Scripture readings.